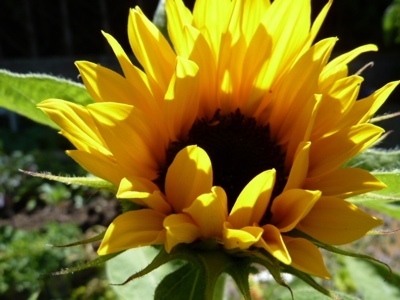 My Home and Garden: I cannot imagine a garden without sunflowers. I love sunflowers. This year I am growing Zohar. They are a lovely, lovely flower. I am glad that I bought a vase for the store. I will take some in. It will make that lovely space even more beautiful. Next year I am going to grow Peredovik. It is the choice for seed growers. 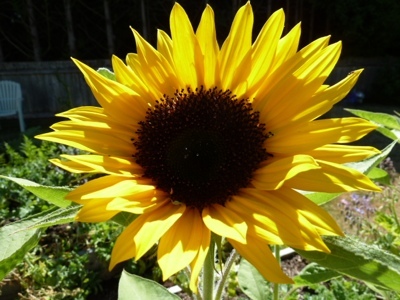 Such a sunny beautiful flower to brighten my day! Thanks Erin. Beautiful photos, Erin! You've managed to capture the sun bit of the flower perfectly.